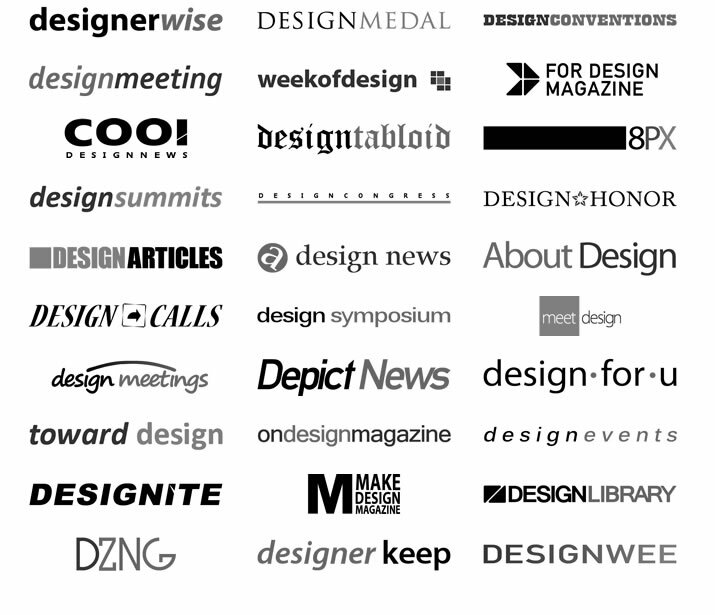 Learn more about A'Design Organization: Who, What, When, Why, Where, Which & How. A' Design Award is an international design award, organized in a great range of categories in order to reach the widest audience possible. The final purpose of the award is to highlight participating good designs and to provide the participating good designs with publicity, fame and recognition through A' Design Award. 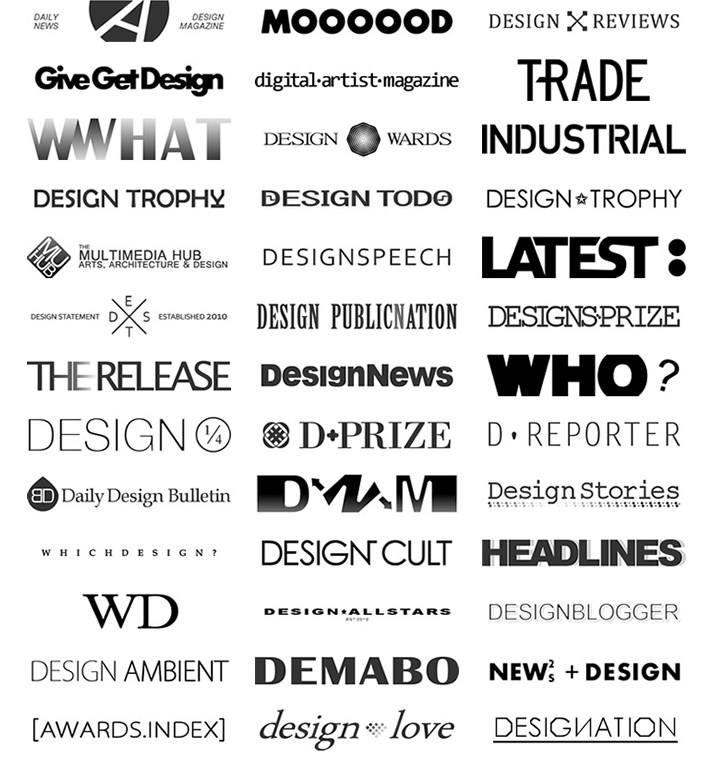 For this purpose, a series of spinoffs were created: Museum of Design (to exhibit winner designs), Association of Design and Good Design Mark (to certify winning designs), Designer Press (to publish the winners books), Design Faculty (to find correct jury members), Design PR Wire (to make press releases and public relations of winning designs), DesignAmid Magazine (to publish winning designs), Advanced Design Conference (to disseminate winning designs and results) Design League and Creative Challange (to organize custom competitions for further support), Salone del Designer (to organize events and to let designers sell their designs online), Design Mega Store (to create opportunity for designers to sell their designs and works) A Design Factory (for website support), Design Mediators (to arrange connections between designers and companies) and the PR Network that includes many sites such as award winning designers, awarded designs etc. 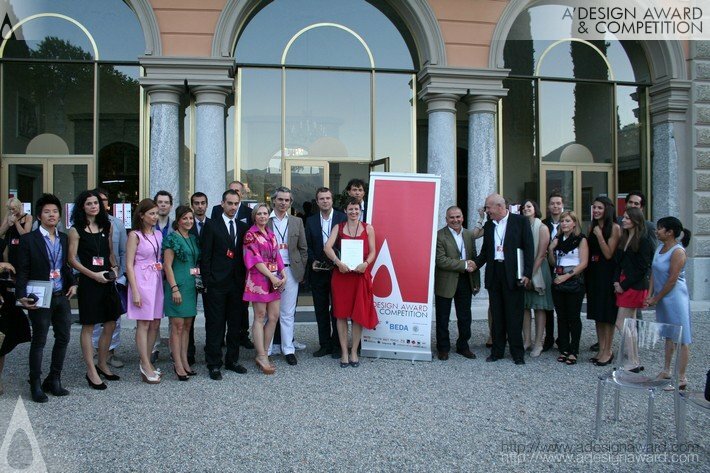 The award is organized by OMC Design Studios SRL, member of ADI and ICSID. OMC Design Studios S.R.L. is located in Via Manara 9, 22100, Como / Italy. 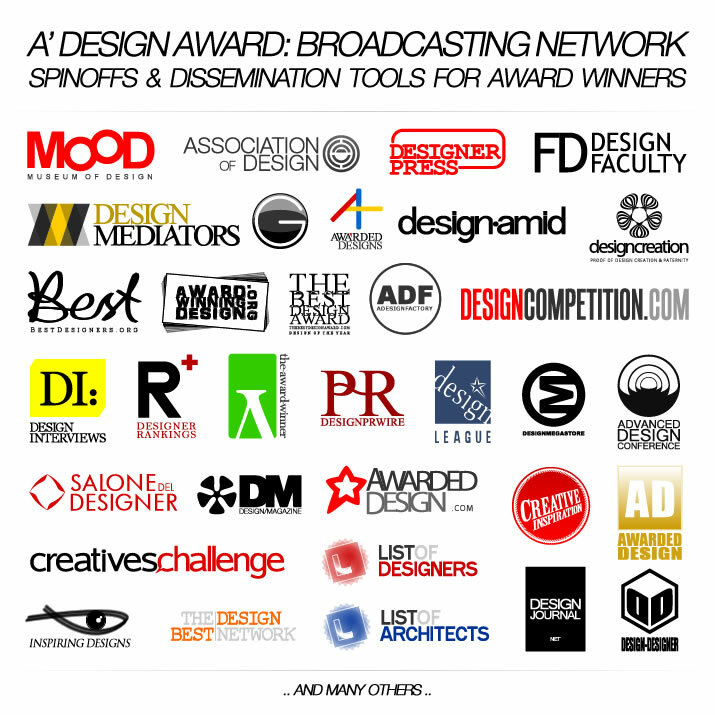 A' Design Award has earned the patronage several institutions in the past. Click here to learn more about the patronages and past endorsements. It started with a Ph.D. thesis at Politecnico di Milano in Italy, regarding design awards & competitions. After a careful and indepth analysis of 1000+ design awards and competitions, A' Design Award was synthetically built in order to create the most impact for award winning designs. We wanted to create a design competition that is credible (good jury), respects designers (good terms), awards winning designs truthfully (good benefits and returns) and provides a positive experience for all the participants and we did it, we invite you to explore our webpage to learn more about specific features, strengths, benefits and opportunities. 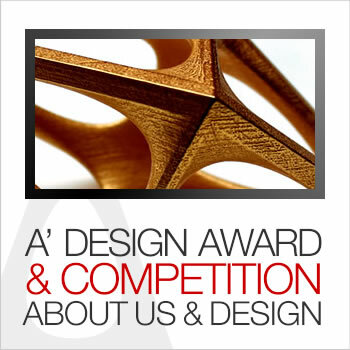 The aim of A' Design Award is to bring visibility to dynamic design businesses, innovative brands, creative designers by supporting them with recognition and publicity in competitive markets and ultimately creating an awareness for good design meanwhile creating business opportunities for good design. The design competition especially aims to promote both the emerging design talent as well as established brands to discerning audiences in high profile media around the world. Subsequent design exhibitions help position design at heart of business and culture by showcasing good design. Showcasing design to the world is the central purpose of A' Design Awards. 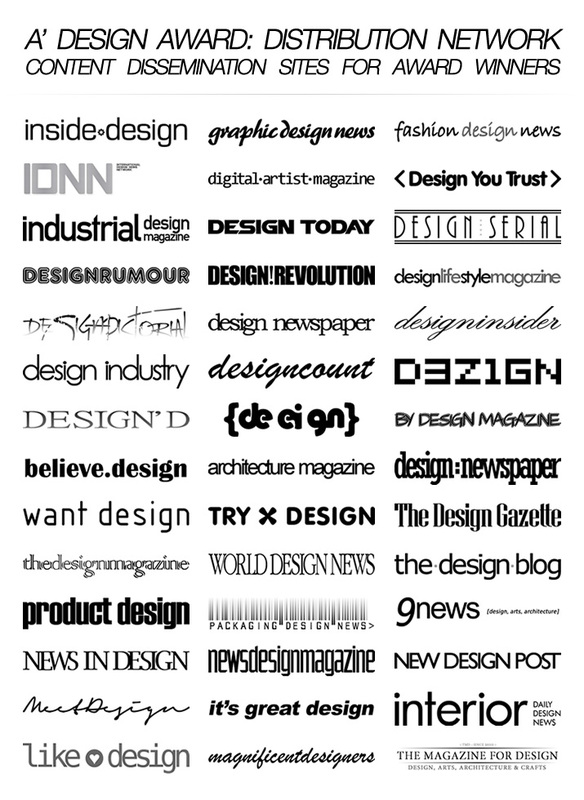 Through the year long programs the A' Design Award presents contemporary design creations to international audiences. The global reach for award winning designers create commercial opportunities and help creation of strategic design partnerships. The competition is open to all design fields so every good designer can tell their own story. The A' Design Award aims to cultivate new ideas and talent, stimulating discussions on design and demonstrates the economic potent and social power of good design. Best design works are selected for their innovative looks, technical aspects and their capacity to solve complex design issues. The design award raises awareness and celebrate the contribution of design for a better world. The competition feature over hundred categories where new ideas, methods and practices can traverse across different disciplines. The A' Design Award invents designers to remake, reinterpret, reiterate, and reimagine the status quote to challenge the existing ideas with disruptive innovation, to engage and foster new social and economic initiatives, products and services that implement good design practices and principles. Both concepts and developed works can be nominated as long as the works are created within the last decade. The competition seeks to champion the highest standards in design, advocating a better understanding and importance of design worldwide to transform the globe for a better future. Learn more about the design award benefits or the design prize. Our efforts are not limited to the sites above, we follow a very detailed strategy to get the most for our participants, for example learn more about some of the other channels we utilize here..